This adventure will make you a first-class matey in no time. 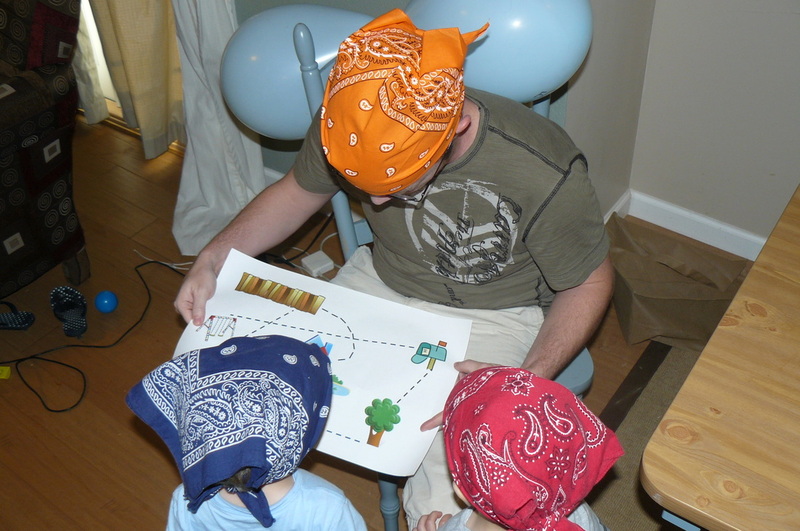 Grab your bandanas, eye patches and swords as you set out for a swashbuckling adventure. 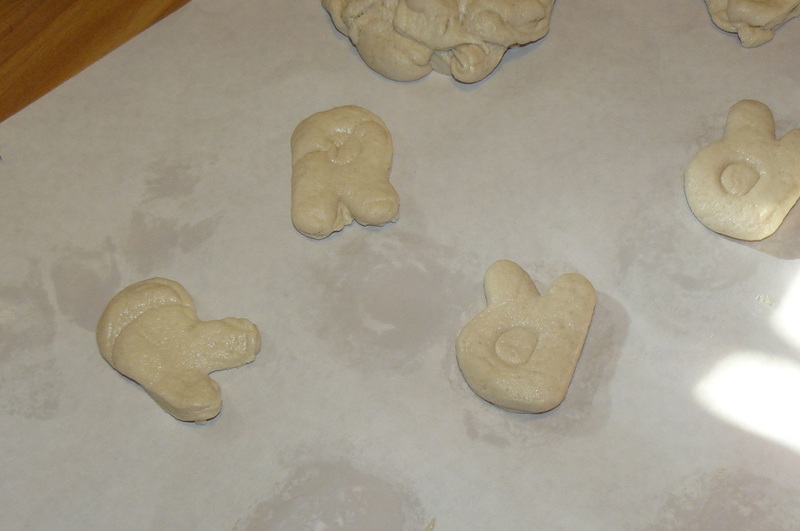 Using a cookie cutter shaped like an ‘R’, fish or 'X', flatten canned biscuits then cut in the shape of your choice. Cook fish sticks according to directions. 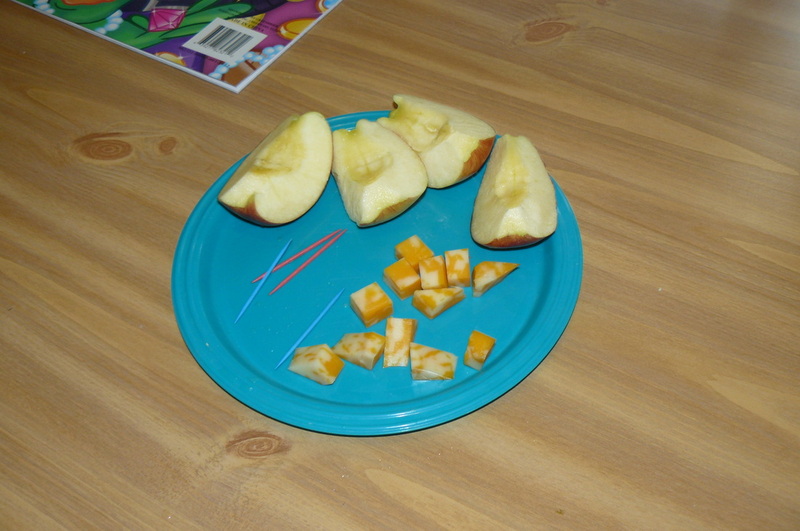 Cut an apple in wedges. Cut cheese in 1 cube and 1 triangle. 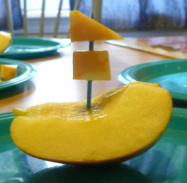 Attach cheese cubes to apple with a toothpick to make it look like a boat. 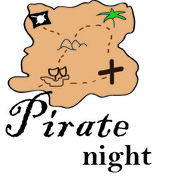 Choose any sort of candy, goodies or favorite pirate treat to tuck inside your pirate chest during the activity. There's even a snack by the same name that you can pick up at the store. Other options are cereal for dessert. 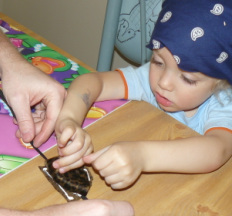 We enjoy Cap'n Crunch and Marshmallow Mateys. Cut 2 semicircles from black fabric. 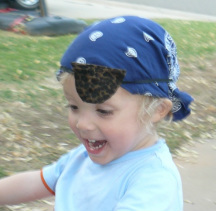 Cut length of thin elastic to fit just snug around your head. Glue the 2 fabric circles together over the elastic. Tie elastic around head but not too tight. Make sure patch is over eye. 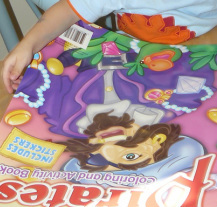 We also found huge pirate coloring books that were a great activity while waiting on dinner. (an empty cereal box works well). Cut with scissors into large pieces. Amount of pieces should match number of icons on your map. Place pieces of treasure chest puzzle in areas of your yard that match your icons. Fill treasure chest with candy coins/prizes. Commence hunt.